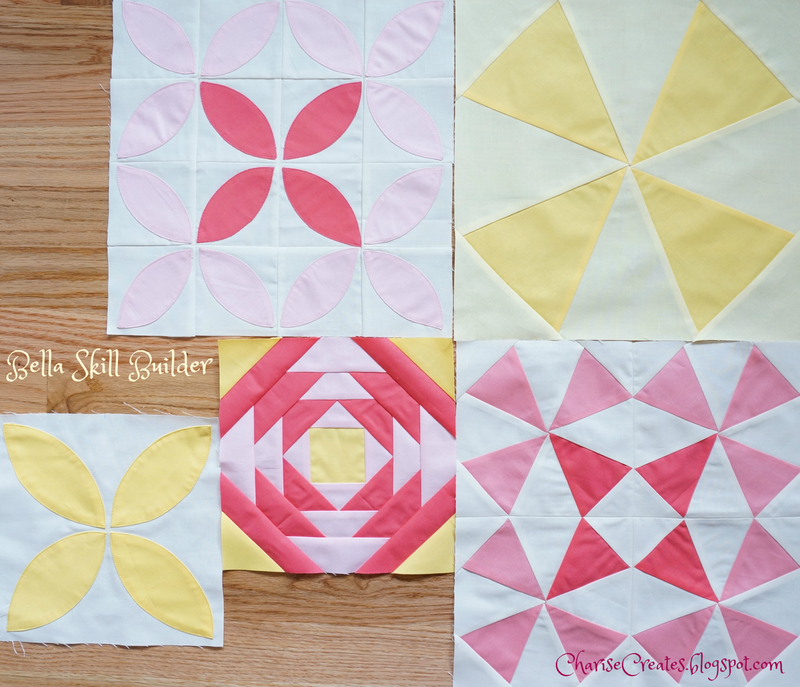 Today I am happy to share the third block in the Bella Solid Skill Builder Sew Along sponsored by Fat Quarter Shop - Pineapple. 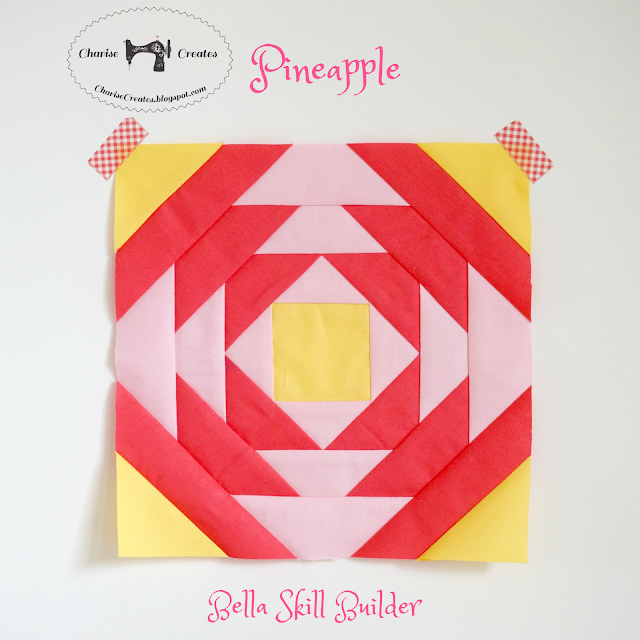 I haven't made a pineapple block before but always admired the ones I've seen. They look quite complicated. 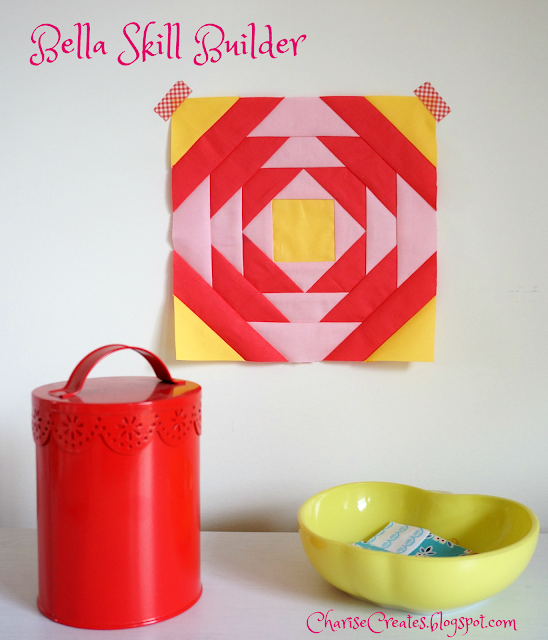 Well..... there is a pineapple block ruler that makes the process super easy. It was really fast to sew but I would suggest reading the directions a few times before cutting. Head on over to the Fat Quarter Shop blog to find the links to the other bloggers making this block as well as a video tutorial! Be sure to share your blocks with the hashtag #BellaSkillBuilder. I love to see your versions of the block! Your pineapple block is darling! I love the yellow center and corners.